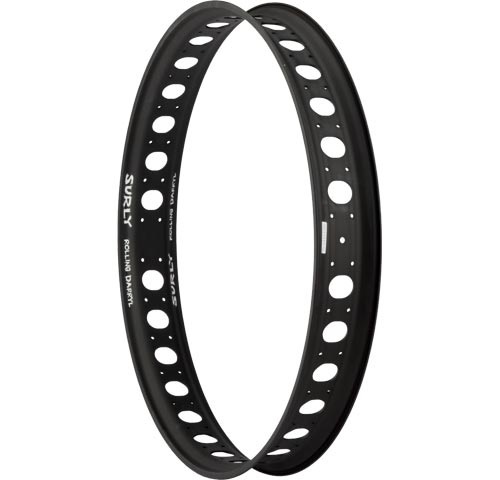 Surly make the best rims too - no doubts. 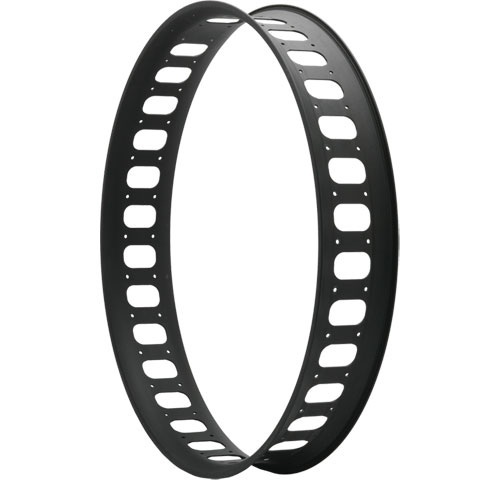 Marge Lite is a single wall rim with cutouts that's 65mm wide, great for most purposes and only 690g. 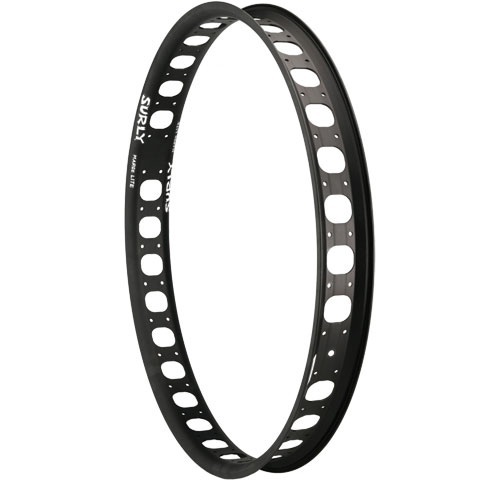 Black only 32 spokes, but with 64 holes, that's so you can build them offset for frames that need it like the Surly Pugsley, Moonlander or 9:ZERO:7 offset frame. Rolling Darryl is 80mm wide, double drilled and comes in a bunch of fruity shades to match your ride. The Clownshoe is the wide boy - a full 100mm wide, built for floatation it's the one to choose if you're looking for the ultimate in big assed foot print.